The special skills section of an actor’s resume is the perfect way to highlight the special and unique abilities you can bring to any role. As with any resume, you want to include skills that are relevant to and desirable for the roles you are auditioning for. One special skill that should be included on your resume is if you can speak in any accents. Remember though that you should only include accents on your resume if you can fluently and believably speak in a specific dialect. If you say that you can speak in an Irish accent and the casting director asks “Do you speak East Coast Irish English or Northern Irish?” and you have no idea what the difference is, then you probably don’t truly speak a believable version of the accent and it is best left off of your resume. Another skill that can be valuable to include on your acting resume is if you have any experience with stunts. Remember that you also need to give a true representation of what your skills are and what experience you have when it comes to stunts. Six years of tumbling classes may be meaningful to a casting director whereas amateur parkour on the weekends with your besties is probably not. Singing, dancing, experience with a teleprompter, and many other special skills can and should be included if you have professional training and valuable past experience. 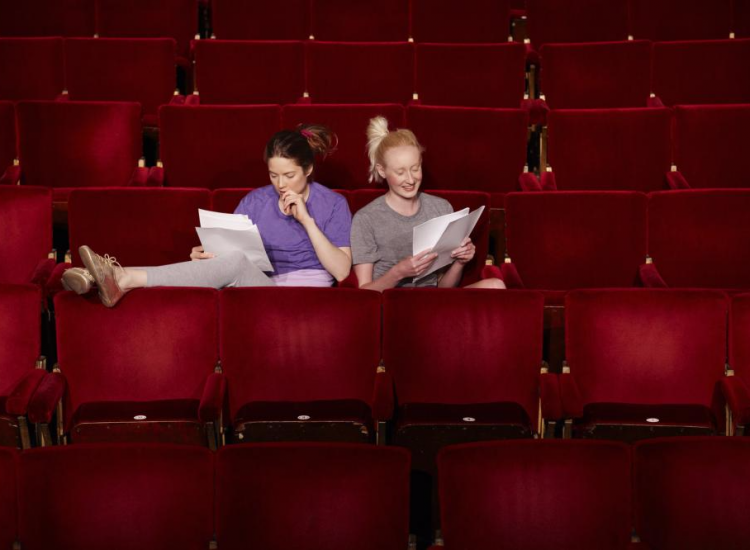 Remember that unless the casting specifications for a role require a specific skill, your acting ability is the number one most important thing in your audition. Your acting ability can land you a role and if you need to learn a new skill, the show’s producers will be able to help get you the training you need. Don’t forget to include any of those unique or unusual skills that may only make sense in an actor’s resume. If you can turn your face red instantly, that’s a great skill for any role that might require rage or anger. Crying on cue (real tears crying – not scrunching up your face and using sobbing shoulders) is another. Even if you have a funny or strange skill, as long as it’s relevant to something you might need to pull from when acting you may want to include it. If past work as a magician made you proficient with sleight of hand tricks, it’s great to include. If you can sing the ABCs backwards while drinking milk, you should probably leave that off. Remember that a resume is not a good place to inflate your skills and abilities. You should only list things on your resume that if the casting director asks you to do during an audition you can not only prove your skill, but you can impress them! Are you ready to learn more about Barbizon’s acting and modeling program? Schedule an audition with your local school.